The light blue shirt is the equal of the white shirt. 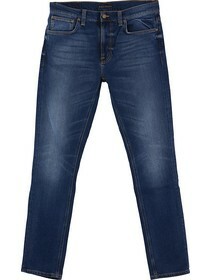 It pairs with a myriad of elegant and sporty outfits and is easy to wear. 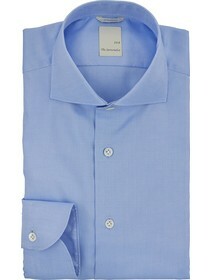 This light blue Oxford shirt features a modern fit, meaning that it is comfortable and not too fitted. 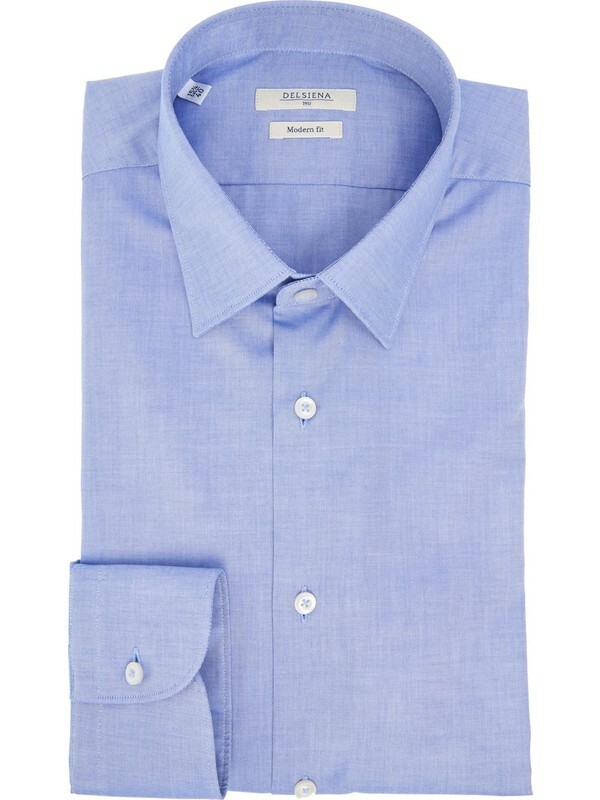 The Oxford fabric is made from pure Egyptian cotton, which is extremely soft and gentle against the skin. 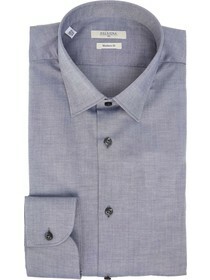 This Delsiena shirt features all the classic characteristics of Italian shirts. The details on the collar are meticulous, while the rounded cuffs are closed on the sleeve vent by two buttons. The modern fit of this Delsiena garment is created thanks to two darts in the back. This man's shirt features a small classic collar, which is recommended for emphasising slender faces. This shirt looks great without additional accessories - such as ties or bow-ties - with a closed or unbuttoned collar when part of casual outfits. When part of more elegant ensembles we suggest pairing it with a small knot tie.